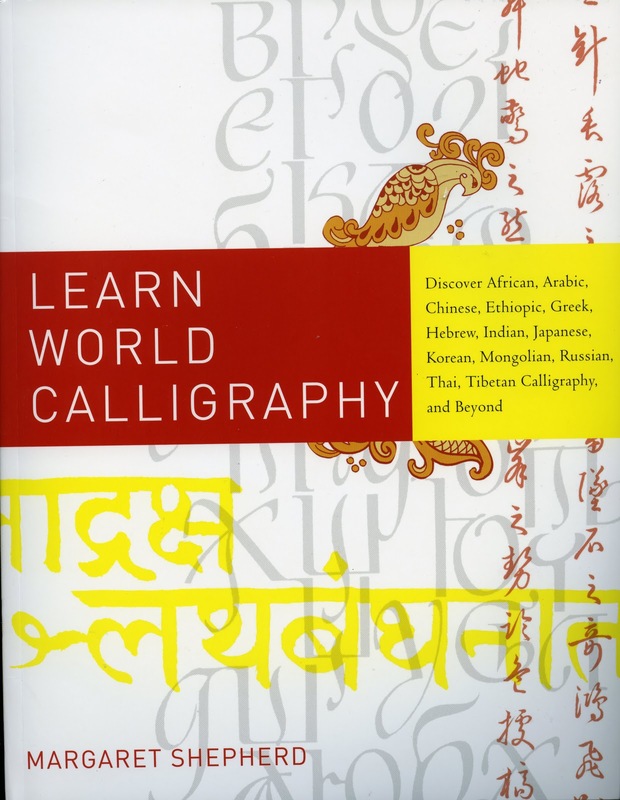 "Learn World Calligraphy" is a recent release by author Margaret Shepherd. She has written 16 other books on calligraphy so she knows her stuff. The unique thing about this book is span of calligraphy styles presented. The entire book has been hand lettered in multiple styles, giving it a very artsy feel. This allows you to get inspired just by reading the "How To". 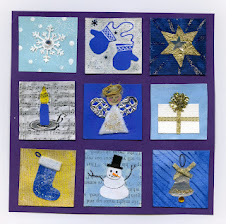 Margaret also presents ways to incorporate lettering into your art projects, showing you historical pieces and ways you can duplicate and update them. I can see a lot of applications in my work. Just being able to add Greek characters to our "ancient civilizations" projects in Grade 6 is terrific. I especially loved her ideas for taking a word, writing it in such a way that it graphically represents the object or meaning.....way cool! I will make the draw on Friday so you have until Thursday at 11:59 pm. The draw will be random based on time of your entry. U.S and Canadian residents only. - review/giveaway copy provided by Newman Communications, Inc. I have a love/hate relationship with calligraphy (sometimes I nail it on the first try and sometimes it is try number 5.) That book looks amazing - I have several reference books for calligraphy but I am always up for a new one. Sounds like a neat book. I'd love to be entered. I'm also bookmarking your blog. 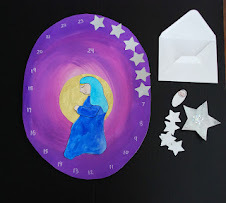 I briefly looked at a few of your art projects & think my kids would love to do some of them. Thanks for the giveaway, Gail! I learned calligraphy as part of my 7th and 8th grade art curricula at school and loved it. 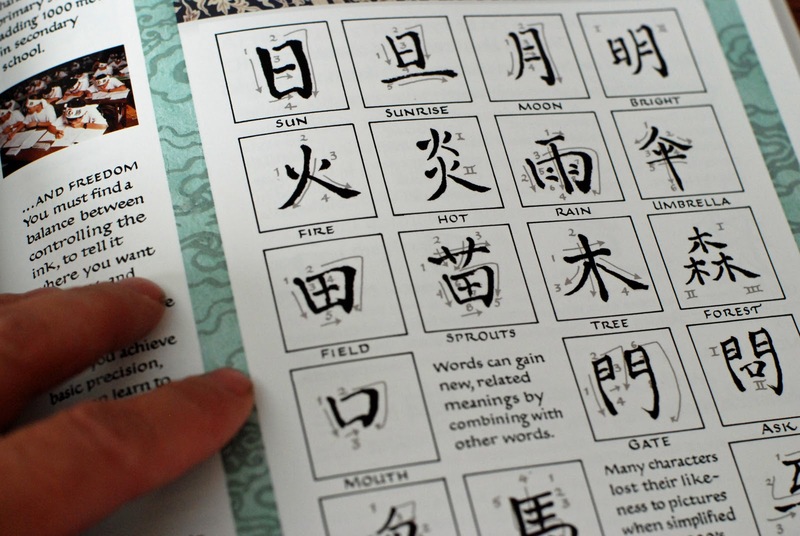 But it was only one kind of calligraphy, and I'd love to learn more! I'd love a chance to win, sounds like a cool book! Oh pretty please! I looooove calligraphy, but I'm not very good at it. 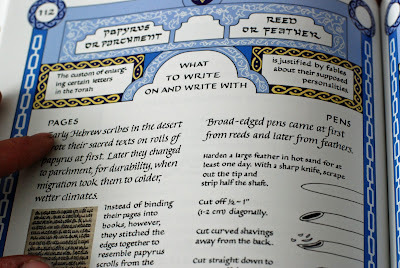 It looks smashing and I've put it on my wish list as I love calligraphy. 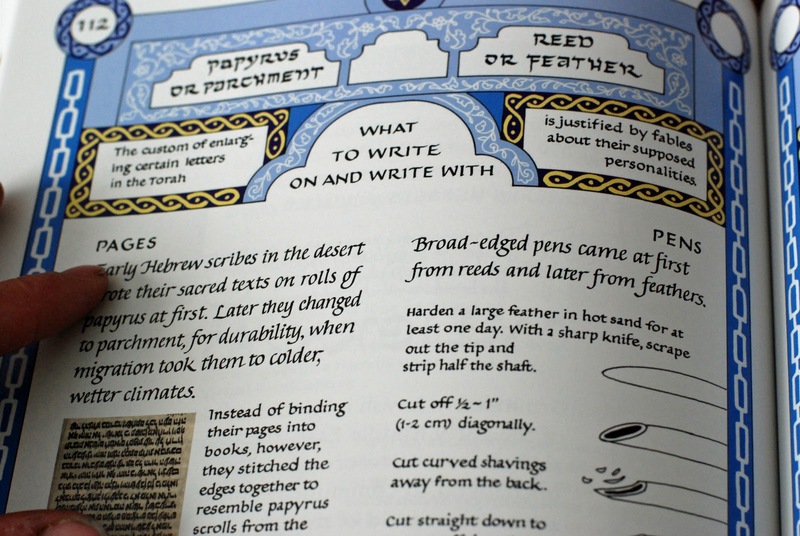 interestingly, I actually tried making a pen from a feather recently and quickly learned there must be an art to it... so it was neat to see that they include directions in that book! It looks like a wonderful book. I always want do calligraphy so I may even buy it. What an interesting book! Love the idea of her suggestions of adding lettering to one's art! 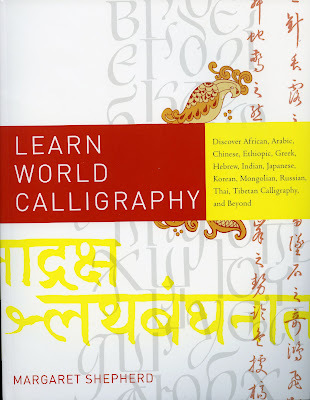 I always love calligraphy,i have done experiments with glass paints & some unique material like beads,,etc..
i will love to have this book!! Very nice!I'd love to win this!Greetings fron Greece! What an interesting book. I would love to get my hands on it. I love the art of text. I would love to win this book. Wow! This book looks awesome! Ooh I was just thinking how I wanted to learn calligraphy! 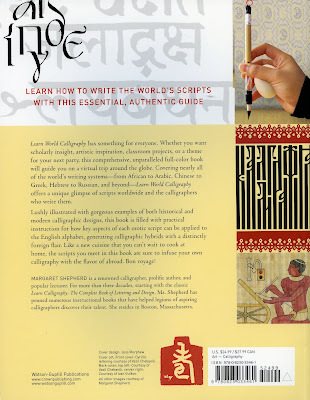 I have been meaning to learn calligraphy.... Would love to own this book! :) Thanks for the opportunity! I would love a chance to win this book and also to share it with my art students. 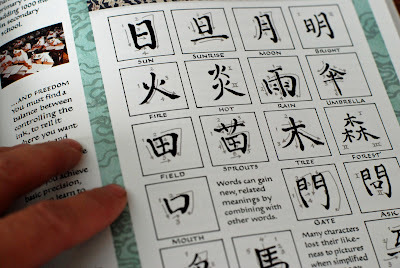 How very interesting -- I enjoy looking at calligraphy but never realized that there are so many styles! I'd love to be entered in for the drawing. Thank you so much! I'd love to be entered for the giveaway! What an interesting book. 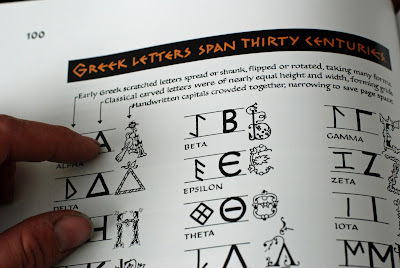 My husband and I have studied Ancient Greek together and have been to Greece, so it would be fun to learn more about Greek calligraphy together. Thanks for sharing! This would be a fabulous gift for my artistic daughter. Thank you! Please enter me in this contest. 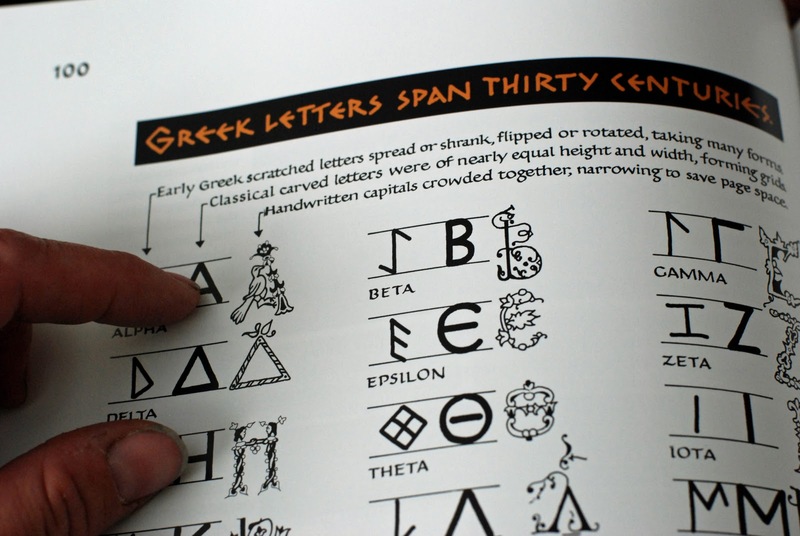 The Greek letters look fab!! My daughter is taking a calligraphy class right now! This would be a fantastic resource! here I go again...maybe this time I will get to be the winner! What a wonderful give-away. Thank you for the chance. I teach art and this would be a wonderful book to add to my collection! I'm teaching a World Languages class in our homeschool co-op, and this would be a fantastic resource! Thanks for the chance! 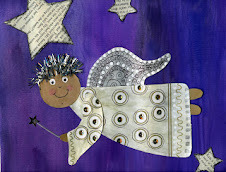 What a wonderful book-I teach art and would love to win it! The book looks absolutely awesome, I think I'll have to buy it! (I'm not eligible for the giveaway.) Thanks for the introduction/review. My daughter and I have been wanting to give caligraphy a try--would love to win! Ohy I would love to win! Thank you for the opportunity! Even the cover looks intriguing. 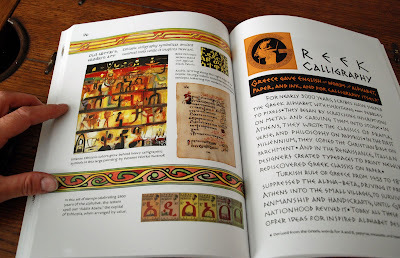 What a great resource for both art and learning about written languages in general! 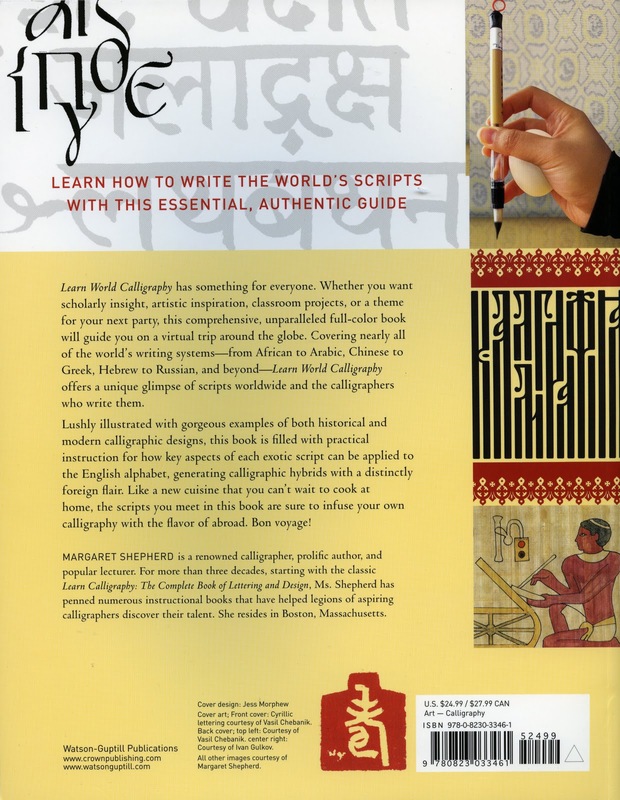 I have been considering a unit on calligraphy with my classes - would love a copy of this book! Thanks! Looks like a great addition for my lettering book collection! Thanks for accepting my entry Gail! Wow that book looks really cool. I've done some calligraphy in the past (my dad taught me) but would love to learn new styles and applications. I would love to win this book. 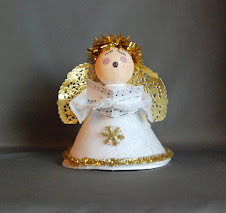 Thank you Gail, your projects keep a lot of wonderful crafts accessible. Ooh! I was just thinking last week that I really should learn to do calligraphy. This book looks amazing. Thanks for another great book to add to my list of books to check out. I hope I'm not too late - this is an amazing book. wow! That looks like such a lovely book! I would love to add it to my small collection.